Market Day is full of excitement for Poppy and Sam! They buy some geese, and a duck for Poppy… but one naughty goose escapes and goes on the run! This comical adventure from the Farmyard Tales series has a simple text for children to read alone, and a longer text for shared reading. 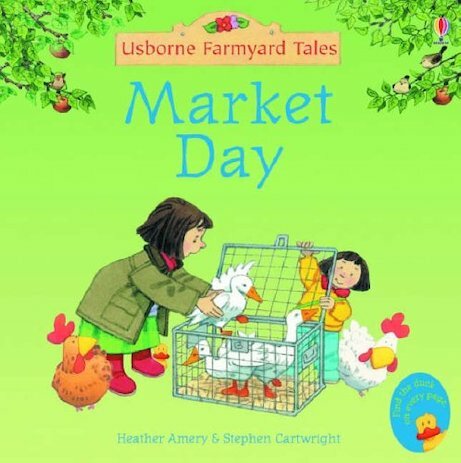 Packed with lively farmyard words to learn, it’s a great book to snuggle up with. Lovely book to read to my son with nice illustrations.